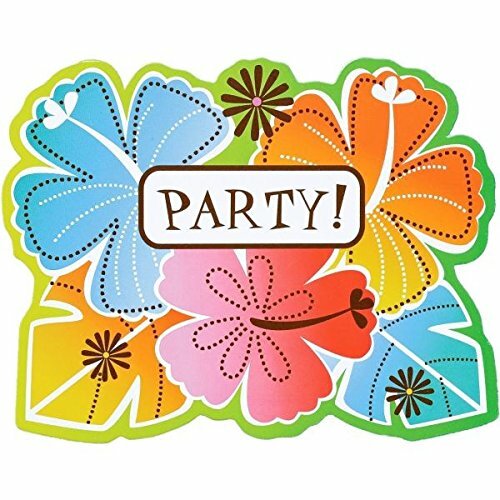 Proclaim your Hawaiian luau and pool party intentions with our hot fun in the sun value pack invitations! it is sure to add a touch of summertime to any event. It is perfect for many occasions, from pool parties to luaus to birthdays and more. Features a cluster of hibiscus blooms with festive "party!" headline. Each package contains 50 pcs of invitations and envelopes, each measuring 5 5/8" x 4 3/8".